We can navigate the placid waters of life one moment and get tossed by the storms of trials and tribulations the next. That’s why we need hope. Hope illumines and warms our souls on cold, dark days. Hope is a lighthouse when we’re storm tossed. 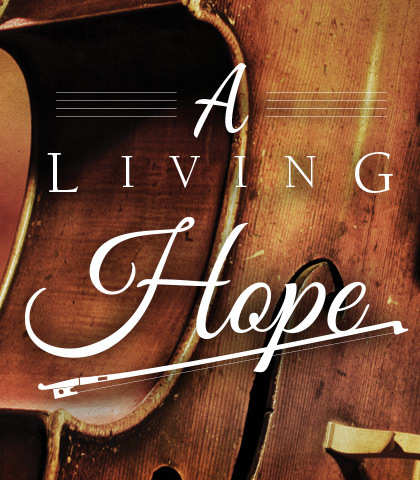 In this uplifting series, A Living Hope, you’ll be inspired by our eternal Hope—Jesus—by listening in on the always winsome and grace-filled messages from Chuck Swindoll. Learn how the same power that raised Jesus from the dead and that transformed a gruff fisherman like Peter into the eloquent “Rock” of the church energizes us to let our lights brilliantly shine with hope for a dark world. If Easter was the most exciting day of the disciples’ lives, quite likely the ascension was the most exciting day of Jesus’ earthly life. He had finished His mission. There was just one thing. Jesus’ departure opened the door to one great risk: being forgotten.